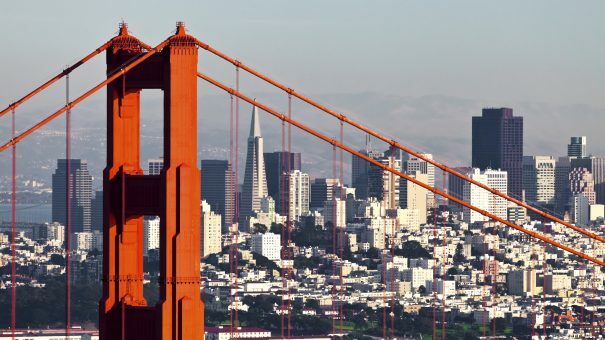 Taking place this week in San Francisco, the annual JP Morgan Healthcare Conference has become the agenda-setting meeting for pharma and biotech. 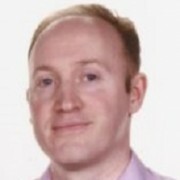 Andrew McConaghie reviews some key themes to watch out for at the conference and throughout 2016. The last few years have seen a strong resurgence in pharma and in biotech in particular, thanks to a wave of new innovation, plentiful funding for M&A and IPOs, and a sharp increase in the number of new drugs being approved. The FDA’s efforts to accelerate approval rates has had a big impact, largely through Breakthrough Therapy Designations (BTDs). 2015 saw 45 new chemical or biologic new entities approved – four more than the year before, and the second highest behind the 53 approved in 1996. Medicines such as Gilead’s Sovaldi and Harvoni, and Merck’s Keytruda and Bristol-Myers Squibb’s Opdivo have been some of the outstanding examples of groundbreaking treatments in recent years, and 2016 is expected to keep up the pace. Among likely approvals is Acadia’s Nuplazid (pimavanserin), a new treatment for Parkinson’s disease psychosis. Another is Roche’s PD-L1 immuno-oncology challenger atezolizumab, for advanced bladder cancer. The year is likely to see the FDA approve at least one new treatment for the rare Duchenne’s muscular dystrophy, with many analysts tipping PTC Therapeutics’s Translarna to have the most compelling data. However there are some clouds on the horizon. The greatest is around fears that the global economy could go into reverse. Last week saw markets spooked by signs that China’s growth engine is slowing, which would have a knock-on effect around the world. The US Federal Reserve recently raised its interest rate for the first time in nearly a decade, a move which also has global repercussions, which could impact healthcare. How can the sector respond to pricing pressure? One of the other major worries for the sector is the controversy around drug prices. Last year saw an unprecedented storm blow up around the issue, and most expect this to continue in 2016. Big pharma and big biotech firms tried to distance themselves from Turing’s (now former) chief executive Martin Shkreli and Valeant’s Michael Pearson (currently on sick leave with an interim CEO in his place), but the big firms have also sustained themselves on regular price increases. As the US moves towards its Presidential elections in November, Democrat frontrunner Hillary Clinton is openly declaring war on the pharma pricing and ‘tax inversion’ deals which have helped sustain growth in recent years. More unusually, some Republican candidates, such as Marco Rubio, have also spoken out against ‘profiteering’ in the sector, a sign that the issue could become a major election issue. Presentations from the firms will show just how well prepared the CEOs are to counter these arguments – brushing aside concerns won’t be enough. Pharmacy benefit managers such as Express Scripts and CVS will also be at the conference, and will consolidate their growing role as organisations able to negotiate major price discounts from pharma. Despite all of this, most analysts are unconvinced that the US market is heading for a major paradigm shift in pricing, meaning that companies will be able to adjust to incremental change. M&A – more to come? 2015 was a record-breaking year for mergers and acquisitions, starting in January with AbbVie’s buyout of Pharmacyclics for $21 billion, and concluding in late November with the $150 billion Pfizer-Allergan deal, the biggest ever in the sector. Remarkably, the markets expect this trend to continue at much the same level in 2016. JP Morgan’s own survey of buy-side investors found 50% of respondents anticipate M&A to be similar to 2015. Around a quarter expect even higher levels, while 5% expect no ‘meaningful’ deals to be done. The first of the big deals to be completed is Shire, which announced today the acquisition of fellow rare-disease specialist Baxalta for $32 billion. Another firm expected to splash out in 2016 is Gilead – its 2011 acquisition of Pharmasset and Sovaldi turned out to be the best-ever M&A decision, and investors are eager for it to repeat the trick. Can GSK win round investors? The JP Morgan healthcare conference has become one of the most important events in the industry calendar – each year one or two CEOs are under particular pressure to convince investors their strategy is sound. This year, GlaxoSmithKline (GSK) is in the spotlight, as investors have grown increasingly concerned about the firm’s underperformance and seemingly muddled leadership from chief executive Sir Andrew Witty. Just a few days ago, the UK’s most influential investor Neil Woodford suggested a radical restructuring of the firm. The founder of Woodford Investment Management said GSK should be divided into separate companies, rather than run as a single £65 billion giant. Speaking to Radio 5 live, Neil Woodford said GSK’s business was far too complicated, resembling “four FTSE 100 companies bolted together”. GSK currently has an R&D-led pharma division, HIV joint venture ViiV, a (newly enlarged) vaccines business, and a consumer health division. 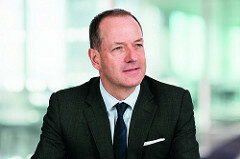 Sir Andrew Witty says this diverse portfolio of businesses helps the firm balance risk and guarantee investor returns, but many investors are unconvinced. Woodford said he believed the firm was not doing a “particularly good job of managing all of the constituent parts”. The spotlight will now be on Sir Andrew Witty, who will have to a few aces up his sleeve in the way of exciting new business development or directions in order to buy more time for his strategy. Can big biotechs keep growing? The last few years have seen a tranche of biotech firms growing rapidly to become ‘big biotech’. Alongside the well-established Amgen are firms such as Biogen, Celgene, Alexion and, of course, Gilead. Their success in recent years means they must find new ways to continue growth, putting them in a similar position to big pharma. Other firms in this bracket include Regeneron, Vertex and Alexion, which all have newly-approved drugs which investors will now want to see enjoy strong launch growth in 2016. Another biotech firm to watch will be Incyte, a key player in the immuno-oncology field, which will see key data emerge on its novel combination of drugs e.g. IDO/PD-1/PD-L1 trials. What’s the next exciting innovation? The JP Morgan conference is also the place for a huge amount of deal-making, as well as announcements of key strategic deals. The latter help show trends for the coming year. The key areas of innovation over the last few years have included gene therapy, CAR-T/immuno-oncology/targeted oncology and orphan diseases. One area that is tipped to join this list is CNS, after a long time in the wilderness. New candidates for Alzheimer’s, Parkinson’s, Huntingdon’s Disease, ALS and others are in late-stage development. An example of one up-and-coming company working in the CNS field is Acorda. The New Jersey-based firm has a promising pipeline, including treatments for chronic post-stroke walking deficits (PSWD), Parkinson’s disease, epilepsy, heart failure, MS and spinal cord injury. Is an Alzheimer’s breakthrough coming? Among the most hotly-anticipated data due in 2016 is in Alzheimer’s. As the world’s population ages, the disease is taking an increasing toll on society, but current treatments can only delay its progress for a short period. Two late-stage compounds revealing pivotal data later this year will be very closely watched: Biogen’saducanumab and Lilly’s solanezumab. These two read-outs were named as the most eagerly awaited by analysts interviewed by JP Morgan, though repeated failures in the field have tempered expectations. Visit the JP Morgan Healthcare conference website here (registration required).